Nigel Pantling lives in North London. His poetry has been published in a range of magazines including The Rialto, The North, Magma and Smiths Knoll. His first poetry pamphlet, Belfast Finds Log, was published by Shoestring Press in June 2014. Nigel Pantling was a soldier in Northern Ireland during the early years of ‘The Troubles’, private secretary to Ministers in the Home Office during the most turbulent year of the Thatcher Government, and a merchant banker in the 90’s when privatisations and mergers and acquisitions were rampant. He now advises chief executives of companies on strategy. His writing in Kingdom Power Glory draws on the danger, the absurdity and the human frailty that he has seen at first hand. I’ve brought out on a tray. spew of green and brown. climbs to cut the other half. 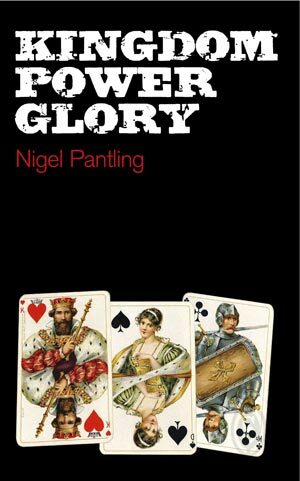 To purchase a signed copy of Kingdom Power Glory, please go to the PayPal website and enter nigelpantlingpoetry@gmail.com to identify Nigel's e-mail account. The price is £9.95 plus £1.05 towards postage, a total of £11.00. Please remember to provide the delivery address and to mention for whom would like your copy signed. Alternatively, you can email Nigel using the form on the Contact page. You can also buy Kingdom Power Glory through the Smith Doorstop website. Amazon also sells Kingdom Power Glory more cheaply, of course, (although unsigned!). Nigel Pantling served as an officer in the Royal Artillery in the early Seventies. His experience on three Northern Ireland tours provide the backdrop for Belfast Finds Log. painted on its side, parked in a side street. heavy on its springs, the door taped shut. to trip a rocker switch, to fire a detonator. To purchase a signed copy of Belfast Finds Log, please go to the PayPal website and enter nigelpantlingpoetry@gmail.com to identify Nigel's e-mail account. Some of the poems in Belfast Finds Log also appear in Kingdom Power Glory, so the price is reduced from £7.50 to £4.50 plus 50p towards postage and packing, a total of £5.00. Please remember to provide the delivery address and to mention for whom would like your copy signed. Alternatively, you can email Nigel using the form on the Contact page. You can also buy Belfast Finds Log on the Shoestring Press website, and of course through Amazon.